A7800 Barnyard Blaster (USA) in 01:53.8 by CoolKirby. You and your grandfather just bought a small farm for growing vegetables and raising horses. Unfortunately, you find that the place is infested with animals that are determined to drive you away. Using your trusty gun, you aim to rid the property of these pests. This run completes the first three levels, after which there is no new content. A trick is used to end the bonus levels immediately by shooting Gramps. A7800 Choplifter (USA) in 02:48.77 by CoolKirby. 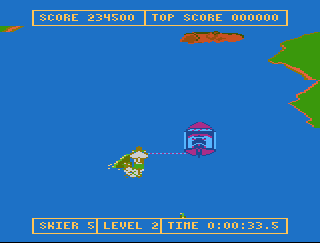 Choplifter is one of the few games that got ported from home systems to the arcade instead of the other way around. The goal of the game is to pilot an attack chopper to rescue 64 hostages from the clutches of the evil Bungeling Empire. Besides being fun to play in real-time, it's also well-suited for TASing. It has fast-paced and lag-free gameplay, nice graphics, and simple mechanics. Both moving up and down and rotating the helicopter don't decrease your horizontal speed, which is great for both optimization and entertainment. In this run, CoolKirby uses tool-assisted precision and tricks like blasting open enemy camps as soon as possible to beat the game in under three minutes. 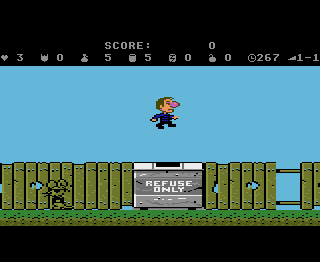 We also have a movie of the Commodore 64 version. A7800 Donkey Kong (unknown) in 01:10.54 by Fortranm. 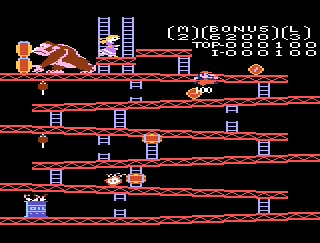 Donkey Kong is a classic arcade game that spawned many ports, including this very Atari 7800 port. A7800 Galaga (USA) "Expert, Perfect Challenge" in 00:53.15 by dwangoAC. 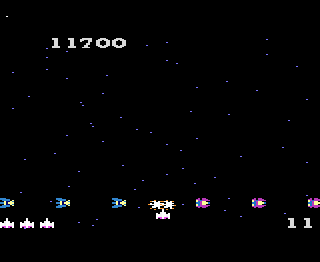 Galaga is the classic arcade shooter that takes place in space, and that's a sufficient enough description. There is also a movie of the MSX version. A7800 Ninja Golf (USA) in 11:29.67 by adelikat. 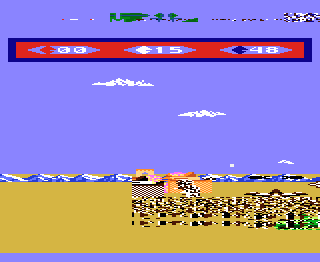 Ninja Golf is an Atari 7800 video game which combines scrolling beat 'em up with golf simulation gameplay. 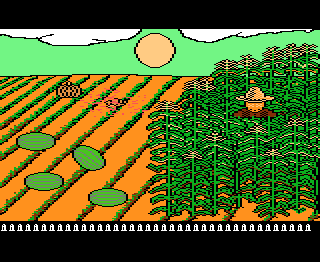 Released in 1990, it later gained some renown for its outlandish subject matter and unique blend of gameplay styles. The enemies faced depends on the environment the ninja golfer is currently in. Sharks are encountered in water hazards and snakes in the sand traps. 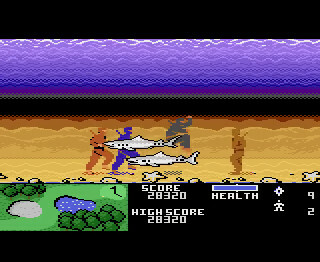 Ninjas are encountered in all the environments, including underwater. In this run, adelikat sports, fights, and runs his way through multiple ninjas, sharks, and even dragons to complete possibly the strangest nine holes of golf. A7800 Water Ski (USA) in 01:30.72 by MESHUGGAH. In Water Ski you are water skiing on the Pharonna River. You control both the boat and skier in this vertically scrolling action game. Your goal is to reach the finish line before time runs out and also to earn as many points as possible. The river is quite dangerous, and features many twists and turns along with rocks, logs and other obstacles.